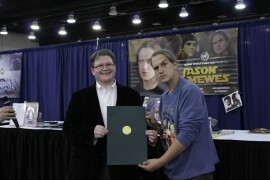 Jason Mewes is, apparently, well liked in Oklahoma. 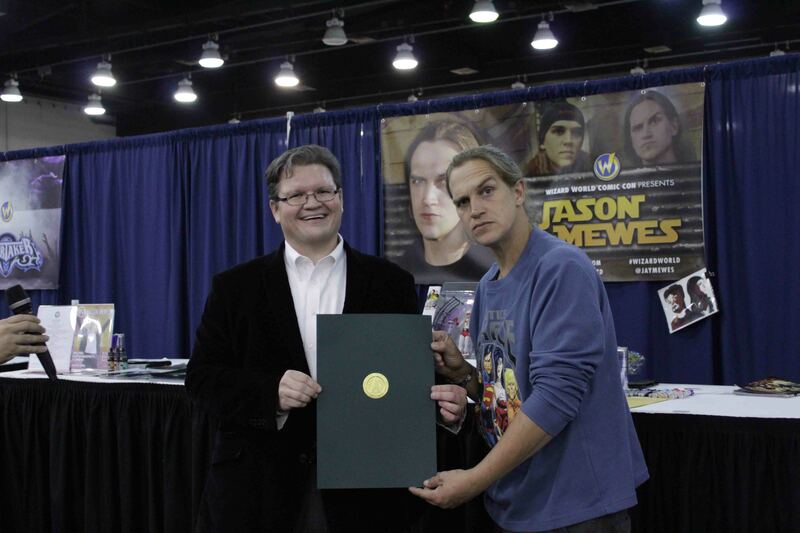 During last month’s Comic-Con, State Representative John Paul Jordan, R-Oklahoma City, honored Mewes with a Citation of Appreciation. Jordan said he has a relationship with Wizard World organizers to do a citation thanking one of the guests for coming to Oklahoma. “For me it’s important because Oklahoma needs to diversify our economy, one of the ways of doing that is tourism, this brings in a different niche of tourism than what the tradition avenues would be,” Jordan said. “This year the importance when it comes to drug addiction and mental health, Jason Mewes is an individual who has been very public about his fight with addiction and his recovery and how long he’s been trying to be sober. So the citation was not only thanking him for coming to Oklahoma but also praising him for being very open and honest about [his struggle] and showing us that our mistakes are not what define us,” Jordan said.